Jamie has over 25 years of experience as a Medical Office Manager. She has worked for Dr. Grazer in Newport Beach for six years. 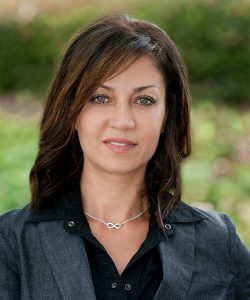 She has acquired highly specialized skills in guiding a team to achieve success for all of your Plastic Surgery needs. She works with her team to make sure they have the most up to date techniques known to bring favorable results! Jamie also has extensive and thorough training in medical billing and collections. In her spare time she enjoys raising her children and gardening and lives local in Orange County, CA. 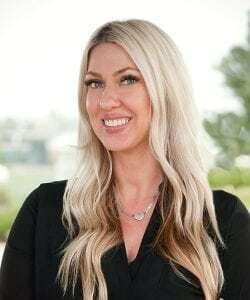 Mary started her career with Dr. Grazer in 2005 in Newport Beach after finishing school for Certified Surgical Technologist degree, where she can assist Dr. Grazer in the operating and also assists with post-operative patients. Mary is also the OR Director where she keeps current on all healthcare standards such as AAAASF, HIPPA, Infection Prevention, Fire Safety, Biohazardous waste and CPR / BLS. Over the years of working alongside Dr. Grazer, Mary has gained much knowledge and experience in the field of Plastic Surgery and as Dr. Grazer’s Patient Coordinator she is dedicated to helping her patients feel as comfortable as possible with knowledge of having your questions answered when leaving Dr. Grazer’s office. On her time off, Mary loves spending with her family, whether it’s weekend Harley rides with her Husband or trips to Disneyland with her daughter and walking her two rescue dogs. Denise has been an aesthetician for 22 years and has been with Dr. Grazer in Newport Beach for nearly 18 years now. She does an array of skin care treatments and facials such as Oxygen facials, Dermal Infusions, Microdermabrasions, Scullpla needless facial filler, Vipeels, Dermaplaning, Acne treatments and more. She also does Dr. Grazer’s post surgery facelift treatments of manual lymphatic drainage and oxygen to assist in healing and bringing comfort to our patients. Denise does complimentary skin care consultations and takes appointments on Mondays, Wednesdays, Thursdays and some Saturdays. Denise is also a Yoga Instructor and believes true beauty comes from within yet, the aesthetics she does allows that beauty to shine through even more. Aside from her passion of yoga in her spare time, Denise enjoys being outside, paddleboarding, biking, listening to music, spending time with family and friends, traveling, enjoying good wine, good food and all the goodness life has to offer. Sara has over 15 years of experience as a patient coordinator. She is highly competent, energetic, and resourceful in providing the highest standard of patient-centered administrative support. Her main goal is to make sure patients are comfortable and have a positive experience. Sara is a loving wife and devoted mother of one. Whenever possible, Sara likes to cook and host family and friends at her home. She also likes to travel and learn about different cultures.